How To Create Most Secure Password? The internet and electronic world might have its advantages and convenience, but it doesn’t mean there are no loopholes in it. Every day we come across so many different and varied instances of theft and hacking from the most basic of platforms to the most popular and biggest social networks or banking systems. This hacking is something which is only controllable by three simple ways. The first is to ensure a low profile on the electronic mediums and the internet so you do not catch the eyes of the hackers and thieves. The second way is to ensure that your security systems are fool proof and there is no way your account can be accessed very easily, this means also keeping limited access from across devices. Many people use lots of different public and private devices to access their password protected portals and thus are at the biggest risk of getting hacked. The third and the final way is to ensure that you do not become a victim of any scam or spam going on across the internet. The hackers entice you in a variety of ways which are impossible for you to know, so experience and safe browsing is something that can really help you in this regard. One of the security elements of any system or account is your password. Since the internet has modernized and there are new kinds of programming methods installed onto the websites, you have the liberty to choose a varied form of passwords from face scans to eye scans, finger prints or symbols. Similarly, many internet websites now also guide you with a password strength meter to show you how vulnerable or strong your password is. 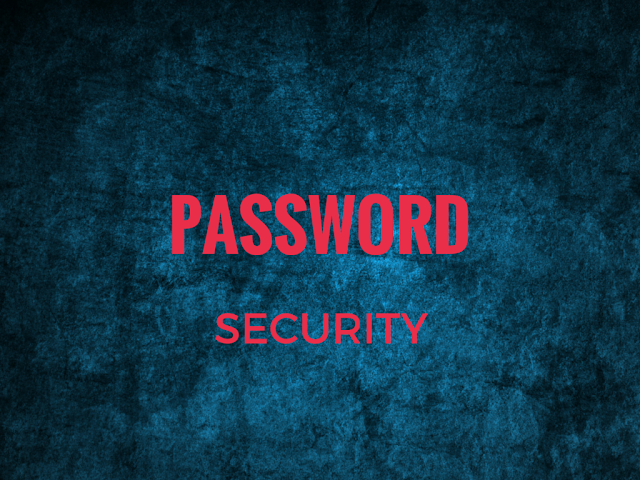 Keeping a secure password is very important and critical element of your security measures. No matter how strong firewalls you install or how secured your bank is, if you are accessing it through your online account with a weak password, then there are high chances your account will be hacked for sure. Even the best security experts who wrote information security books get hacked due to easy passwords. The best way to avoid all this is to keep it secured with a password which is not easy to trace or hack. Today’s guest post blog is going to talk about different ways and approaches that can help you keep a very strong password. How do you balance the necessity of a difficult password with the ability to recall it easily? Well, one of the approaches you can take is to use a long length password. The idea of long length password should be something that you can easily relate to, but it is difficult for others to judge. This can be the most common thing yet difficult or the most difficult thing yet coming easy to you.In order to give it more strength, you can also utilize the idea of a wrong spelling, for example, a lot of people spell their own names with a different first letter in their password. Now the password is very common of using their first name, but the trick is that it is spelt with a secondary letter only they know. So such variations obviously will help you make sure your passwords are well managed and secured. Long length password settings are one of the most traditional and common ways of setting a password. However, due to the restrictions of length, this approach might be going towards becoming obsolete now. Like we said earlier, there can be varied approaches in setting up your password in a secure way. One of the approaches was suggested by a famous analyst and scientist Bruce Schneier. He recommended a way to set a password in 2008, which is still very useful and relevant. Bruce said one should utilize their favorite phrase, acronym, sentence or line as their password. This can be something which is extremely personal or close to you and only you can figure that out. Now it can be a quote from your religious scholar, a line that your better half used to propose you, or the first letter your baby said from her mouth. Setting passwords like these is a great way to not only keep something which can be very easily recalled, but also it can be a very tricky password for the hackers. As usually the hackers go for simple letters or words while hacking the accounts on any website or banking portal. Have you ever registered on a website or installed software which gives out an automatic initial first password? See the way that the password is constructed using a combination of random numbers, letters, symbols and variations in spellings, such passwords are called pass phrase passwords. These passwords again are very difficult to hack, but the only problem is their recall level is too low. This is why even when setting such passwords, the internet recommends you quickly change it. One way to combat that is to write that password down somewhere only you have access to and then keep it as it is. The idea of a pass phrase comes from automated mechanical password setting machines used in vaults and banks. It is a very common method of keeping secured and strong passwords in highly classified places. Due to its recall level, it is not usually and commonly used by an average internet user. If you think that setting a password is not something that is your forte, then you have an option to download the password generator and use the memory muscle approach. This approach requires a user to install password generator and then generate at least 10 random passwords from it. Copy those passwords down and see which one is difficult to enter, but easily recalled. The password generator tool is also a very famous approach used by many people who are into research and scientific development. They want to increase the capacity of their memory by remembering or memorizing random letters and this is a one good and secure way to do that as well as setting a strong password. Do not rely on using your old passwords, as part of your cache they can be easily breached. Always work towards keeping a new and fresh password everytime you think of changing it. Revising a password is not a good policy to have, unless the password you are using is a few years old, then it may be fine. We are a lazy bunch of people. We never want to adopt alteration. This is one of the reasons why we end up using same passwords almost everywhere. This is a bad habit. This is the primary reason why we can get hacked. Most of the times our password it depends on our username. The username plays a key role in giving an option to choose our password. Well, I have an idea for that as well. You can choose a unique username for yourself using the username generator. This can surely fix your username finding worries and help you get rid of them. According to the statistics around 75% of us choose to opt for same Email and password. This is definitely one of the things to not opt for. It really does not matter how good and strong your password is. A small mistake can seriously cost you a lot. Additionally, people rely on keeping short words as passwords which again is not the right thing to do. Too short a password can be easily hacked. Your ideal password should be at least between 10 to 15 characters. Do not use your birthday, recent event date, marriage date or your first and last name. All these contribute to your basic credentials which are posted online in the form of your profiles and social media data. This means that information is already available for a smart hacker. Always refrain from using such credentials as your password for anything. You should not also use your current city or location as your password. Basic English words or your favorite sports team are also an easy breach in terms of your passwords, do not use them unless you are going for a combination of different teams and words. When it comes to setting security questions for your passwords, you can use the wrong answer or a jumbled up answer for a simple security question in order to further strengthen your password. Find out a sentence that is completely individual to you. This can either be your favorite song or any quotes related to your life. Whatever you choose, you have to be very sure to not forget it. Look for a password that contains numbers, letters, and symbols. Create a unique password by taking the letter from each word of your favorite song. Then, find out alternatives. Change them to numbers and symbols. For example, take a sentence which says: Today is my birthday and I received a hundred chocolates. Now, use the first letter of each word password. This would make it - TimbaIrahc. Now, change the word “hundred" to a number and add it anywhere in the middle of your sentence words. Your final password now becomes - TimbaI100rahc. This is sure to give a very hard time to the password hackers. Having a unique password for everywhere is important. Does not means you have to remember it all. Well, now that you have used different passwords in different places, you definitely need to remember them all. Well, there is no need for you to write them all down. Here is an easy way to remember all those alphanumeric and symbol combinations that you find a tough time with. The method that I am coming forward with will involve creating just one personal master code that you can customize according to your needs and different situation. In this way, you can also have a strong password. Also, you won't have to pass through the trouble of remembering it. Begin with some familiar phrase and then choose the first letter of every word to create your unique key. For example, the phrase: Barking dogs seldom bite becomes BDSB. Now, you can add a number that is your special number. This is because you will never forget your special number. Then, all you have to do is capitalize just one letter and turn the others into lowercase. Add the number where ever you see fit. Suppose your favorite number is 55 then your particular password becomes bDs55b. The positioning of the numbers depends totally on you. Do it in such a manner that you remember it for a long time. The root that is the master code remains same for your entire password. You can organize it according to yourself. Make sure to always choose something very simple for a password. The idea here is used the wrong keys maybe one right and the other left whenever you type. Then a simple password can turn into a complex one. However, this is going to work for the non-perfectionist only. You can skip the step if you use your phone for typing your password. Another tip is to take some unique pattern from the keyboard. Create a password based on that. Eventually, we always use our keyboards to type our password. This can serve as a perfect option. Turn the letters counter-clockwise or make it anti-clockwise. Put in some capital letters and numbers to easily lock down your password.